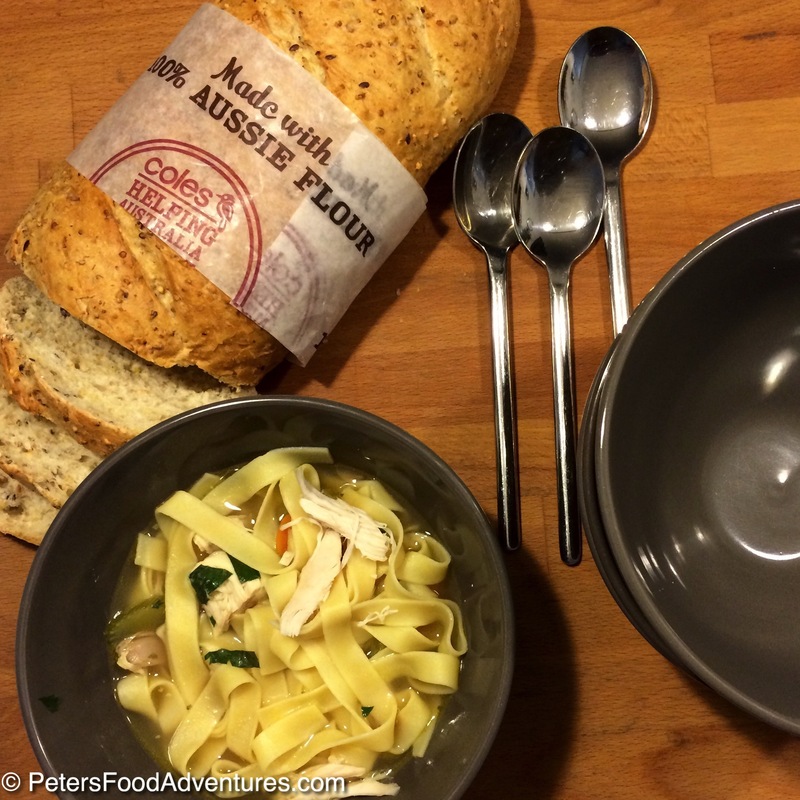 This Easy Chicken Noodle Soup is such a time saver, perfect to make when we are in a hurry, or perhaps feeling unwell. Why is it that we take comfort in chicken noodle soup when we are sick? 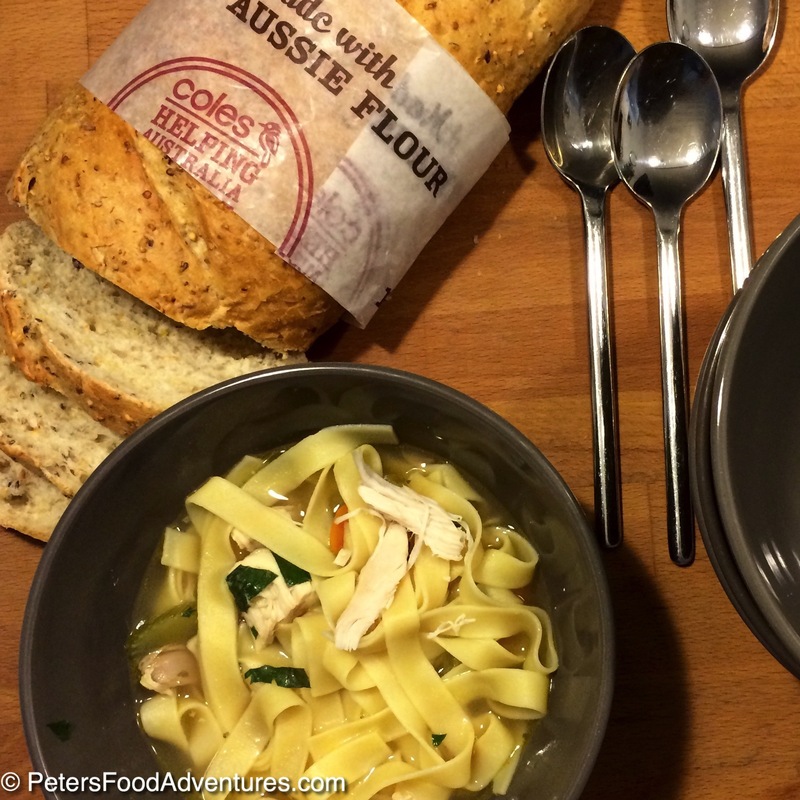 Perhaps it’s a childhood comfort memory, our mum’s feeding us chicken noodle soup to make us better? 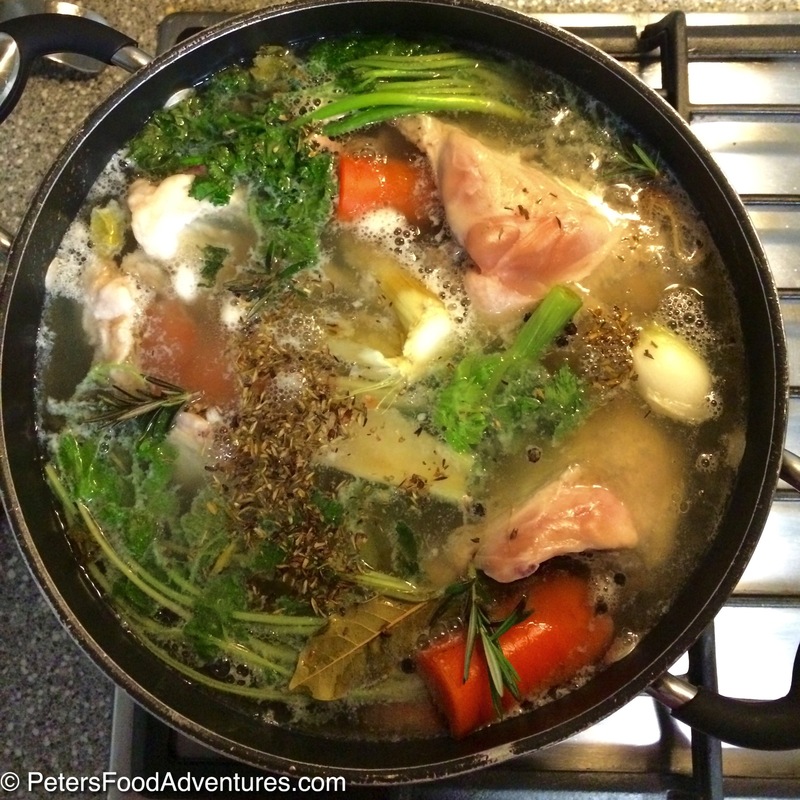 When my kids get sick, the first thing I do is buy some chicken carcasses and start the broth to make chicken soup. I suppose the hot soup would clear our sinuses temporarily, making us feel better. Bland, easy to digest foods help our stomachs recover from gastro or stomach flu. Homemade soup is packed with vitamins. The nutrient rich marrow breaking down from the bones in the soup boosts our immune system, by providing calcium, magnesium, zinc and other vitamins. Be generous with the garlic when making the stock. Growing up, we were always told that garlic was Russian penicillin, so we had to eat more of it. All this goodness, disguised in a comfort soup when we are sick. 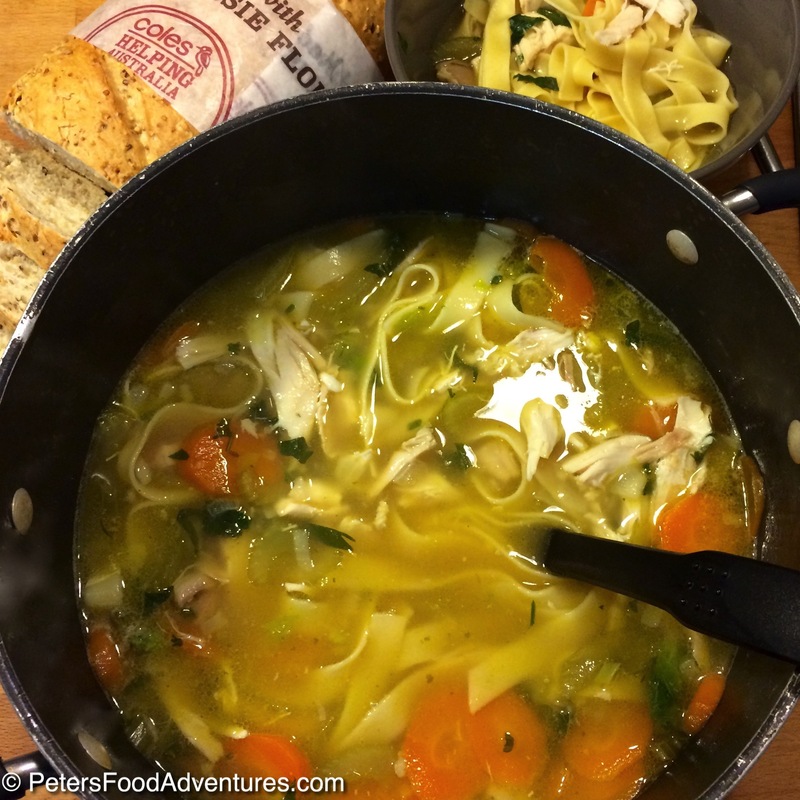 Even if you don’t make the broth from scratch, this is an easy, delicious chicken soup recipe. Using a roast chicken makes it easy when you’re in a hurry. Msg-free Vegeta Stock powder is a secret to increasing flavour instead of using plain salt, but this is optional. I don’t know if there is scientific evidence of chicken soup helping aid recovery when you are sick, but I do know that making and eating this Easy Chicken Noodle Soup makes me smile. And maybe that’s the first step to boosting the immune system. Bon Appetit! Приятного аппетита! Make homemade chicken stock if you have the time. It will taste better and has more nutrients than basic Campbell's stock. If you opt for the store-bought version, use Campbell's Consommé which is soup ready. 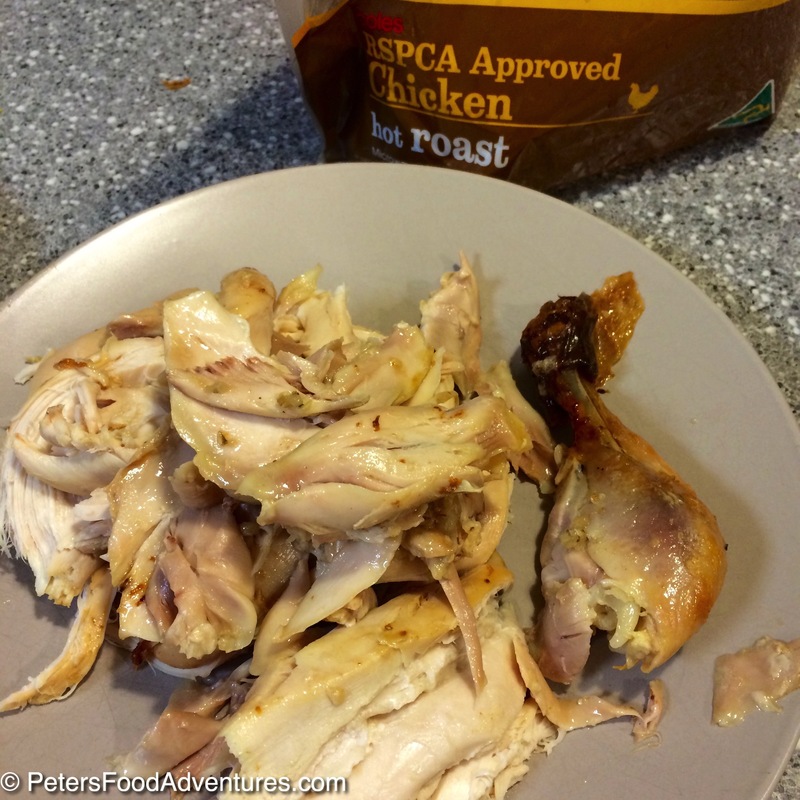 Otherwise go to your butcher and buy 5-6 chicken carcasses and follow the recipe here. Shred the store-bought roast chicken without skin and set aside. Heat oil in a large stockpot on high. Add the onions carrots and celery. Cook and stir for about 5-7 minutes until it starts to become translucent and starts to caramelize. 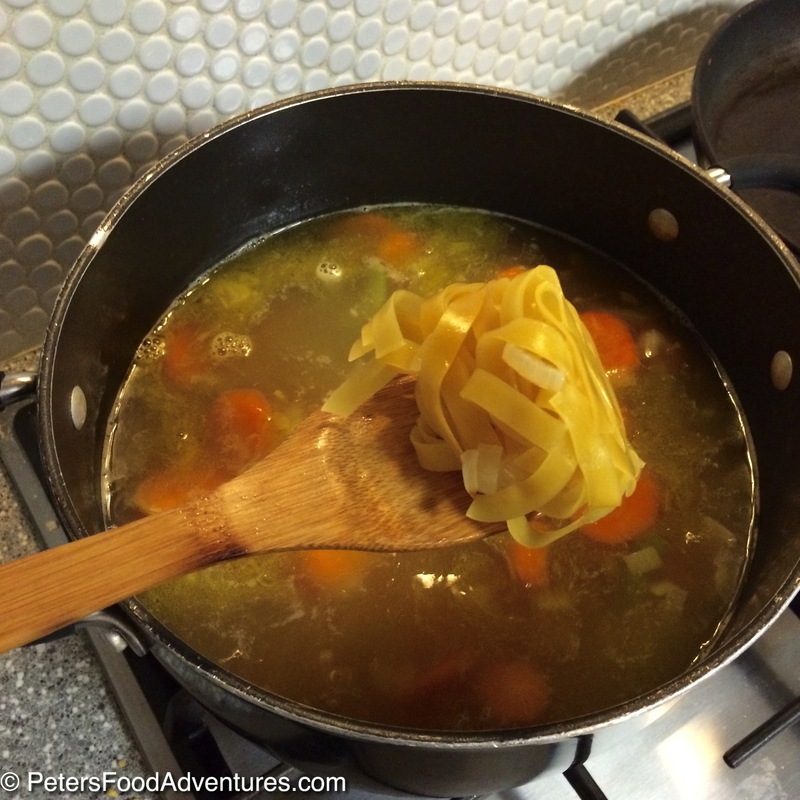 If you are in a hurry, you can skip this step and add the vegetables to the stock in step 4. Caramelization will give the soup a richer flavour and a deeper colour. Add stock and bring to a boil and then allow to simmer for about 10 minutes. Add noodles and simmer for 8 minutes. Add shredded chicken and Msg-free Vegeta stock powder. Taste. Add salt and pepper. Allow to simmer for another 2 minutes. 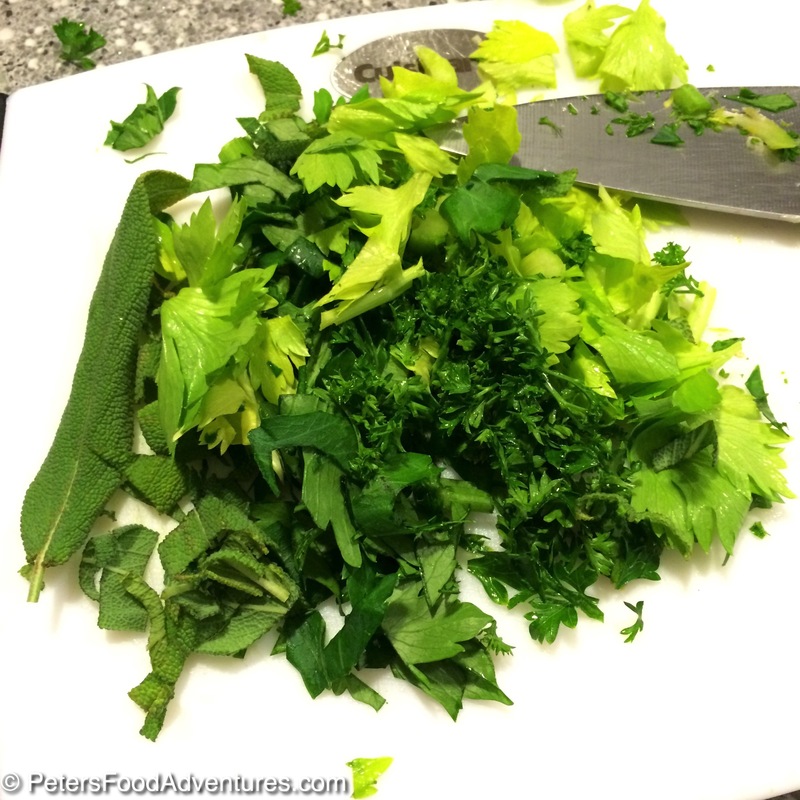 Add the celery leaves, parsley and sage. Enjoy. « Blue Cheese Dressing Recipe From Scratch!